1-4: My brother and I were hand-in-hand or fist-to-fist, and our mother and my father were downstairs pulling pints or selling petroleum or fixing cars. We made dipping pools in plastic barrels, skateboard ramps from broken garage doors, and treehouses by hoisting Wendy-houses into oak trees. It was the rockery in the garden and the soft shingle of the roof where we climbed. I had the small rooms where the bedroom doors couldn’t shut, with the leftover furniture and the overloaded bookcases. I had the cabin bed in the ‘boy’ colours, with postcards from the cinema taped high on the wall, a torch wedged at the side of the mattress. My brother took the attic rooms, the good views, the cartons of dinosaur annuals. Everything smelt like smoke but we didn’t know until we left. Amy Liptrot wrote in ‘The Outrun’ ​this is where I come from and it’s special to me. 5-16: ​The first night my mother was alone, my brother and I slept beside her, a bed-less mattress on the new-start bedroom floor. There were velvet-heavy curtains in the dining room and we never went in. The first night my father was alone, he wasn’t and I wasn’t there but every Wednesday and every other weekend I would climb into the hiding places he made, and read the same books over and over, rent the same movies, pad outside in his training shoes, six sizes too big. In his rooms I was an only child, loping outside to stroke the horses kept in the fields behind our cottage, or bicycling along the berry-bushed paths at the outskirts of town. As I grew out of my fleeces and Puma sweatpants, and into candy-coloured wedges and tiered skirts, I drew on my walls in chalk and then black paint, tallying down the time until the hometown was just that. Amy Liptrot wrote ​at eighteen I couldn’t wait to leave, I dreamed of the hot pulse of the city. 17-29: I was let loose, empty bottles and overflowing bins and bodies in fancy dress and inky stamps on the back of hands. Then I was committed, I had a ring on my hand and furniture piled around me. I was choking in the sage walls and the high thread counts, and I cut myself a window, leaving clothes on the doorsteps of thrift stores, leaving chipped plates in the cupboards of half-occupied, rarely-cleaned houses. When I was finally alone, I placed a white bed in the centre of the room and stacked my books knee-high all around it. I hung fairy lights from the electric meter. I cooked inches from where I slept. I smoked cigarettes in my nightdress perched on the white Georgian radiator and watched people walk by. Amy Liptrot wrote ​I didn’t want to find my way back through the mist to home. 30+: For a year or two, I will be surrounded by children who are not mine, in a country that is not mine and I will feel like I belong. I will miss no-one from home and they’ll get on with their lives and I’ll forget there is an England. I will breathe in Green Lake and Elliott Bay and Mount Rainier and the Olympic Forest, and taste it all, and then maybe one day I’ll be back in England again. Maybe it will take some time, maybe I will dig my toes into Auckland or Banff or Brittany, but eventually somewhere near what once looked like home, I will sleep on a boat, a barge, a narrowboat, a water tanker on a stretch-steel pontoon. My house will float, and fresh from the boxes I stored away, I’ll have books at my feet again, and the open air and water right there, and I will breathe in the sky. Amy Liptrot wrote ​I’m no longer on land but part of the body of water making up all the oceans of the world, which moves, ebbing and flowing under and around me. Genre was always very concrete to me, I always considered myself staunchly a fiction writer but in the past year I’ve found myself needing to work past what these forms allow to construct a narrative that works for me. Initially when building this particular essay, it started off as a list essay that didn’t have the capacity to say what was needed. It then became too prescriptive and I felt that I would be leading the reader by the nose by speaking too plainly. This, the third draft, felt both concise and fluid, a true mark of the lyric essay, which I find to be a concept that’s hard to pin down. 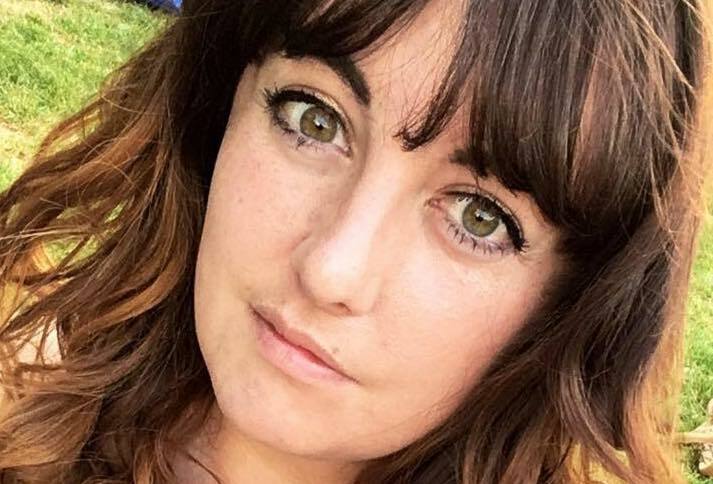 Shannon Bushby is a British writer living in Seattle, who studied English at the University of Chichester, before earning her MA in Creative Writing at Lancaster University. She is working on a book of personal essays and her prose and poetry have appeared in The Grief Diaries,Gravel, The Crucible, The Forge Literary Magazine, Edify Fiction and Great Weather for MEDIA.